While Jews did not settle in Venice until the 13th century, many Jewish merchants and moneylenders visited and worked in the city beginning in the 10th century. Jews were mentioned in documents from 945 and 992 that forbade Venetian captains from accepting Jews onboard their ships. In 1252, Jews were not allowed to settle in the main part of the city, so they settled on the island of Spinaulunga (also spelled Spinalonga), which later became Giudecca. In 1290, Jewish merchants and moneylenders were allowed to work in Venice, but were forced to pay a special tax of five percent on all their import and export transactions. The Jewish moneylenders received permission to settle in the city in 1385. They were given a piece of land to be used as a Jewish cemetery in 1386. The Senate decided to expel the Jews from the city in 1394 due to fears of Jewish encroachment in certain economic spheres. They were allowed to work in the city for limited two-week intervals. Those who were not moneylenders were allowed to remain in the city, albeit with certain restrictions. Jews were forced to wear various markings on their clothing to identify themselves as Jews. In 1394, they had to wear a yellow badge; it was changed to a yellow hat in 1496 and to a red hat in 1500. Other anti-Jewish laws included the prohibition against owning land (enacted in 1423) and from building a synagogue (enacted in 1426). On occasion, Jews were forced to attend Christian services or become baptized. Anti-Jewish feelings were prevalent and three Jews died in a blood libel in 1480 and more died after another libel in 1506. Jews of Italian and German origin moved into this ghetto. The latter came to Venice because of persecution in their communities, while the former came from Rome and from the South, where they faced anti-Semitism. Jews from the Levant, who practiced Sephardic traditions, moved into Ghetto Vecchio in 1541. The Spanish and Portuguese Jews also came to Venice in the late 16th century and were the strongest and wealthiest community in the ghetto. Many of the Spanish and Portuguese Jews were Marranos and became “Jewish” again once moving to Venice. The Spanish/Portuguese and Levantines lived in the Ghetto Vecchio. The German, Italian and Levantine communities were independent, yet lived side by side to one another. A hierarchy existed among them, in which the Sephardic (Spanish and Portuguese)/Levantine Jews were at the top of the scale, Germans in the middle and Italians at the lowest rung. Further restrictions were placed on Jews living in the ghetto. They were only allowed to leave during the day and were locked inside at night. Jews were only permitted to work at pawn shops, act as money lenders, work the Hebrew printing press, trade in textiles or practice medicine. Detailed banking laws kept their interest rates low and made life difficult for many of the poor pawnbrokers and moneylenders. Once they left the ghetto, they still had to wear distinguishing clothing, such as a yellow circle or scarf. Jews were faced with high taxes and the Talmud was burned in 1553, due to arguments between two Venetian printing companies. Hebrew books were not allowed to printed for the next thirteen years, however, the Jewish printing press and publishing companies continued to thrive until the early 19th century. One period that was particularly difficult for Venetian Jews was during the 1570′s, after the Battle of Lepanto in 1571. The Jews were blamed for the war and expulsion threats were made. The German and Italian Jews survived the war by making financial concessions. They decreased their interest rate to five percent per annum, the price they had to pay for stable residence in the ghetto. This was a major setback; however, the Jews were able to recover. Despite the poor living conditions, Jewish community life continued to grow inside the ghetto. Life centered around Jewish ritual and customs and the celebration of the Sabbath. 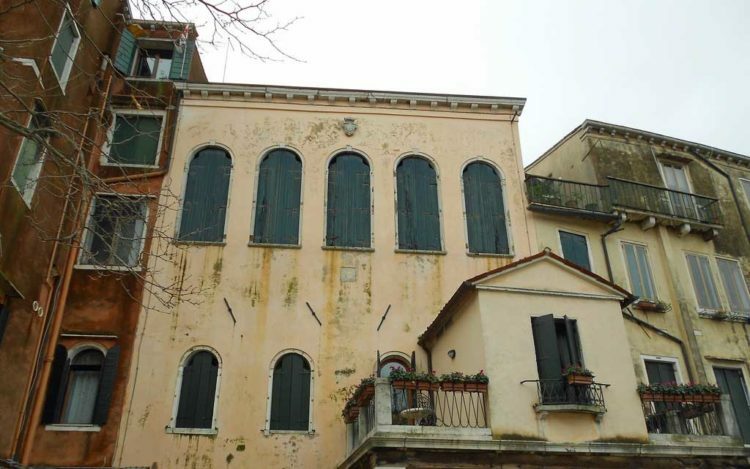 The Ashkenazic Jews built two synagogues on the top floors of the ghetto building, the Scola Grande Tedesca in 1528-29 and the Scola Canton in 1531. The Levantine Jews, who had more money, built an extravagant synagogue in 1575, housing it in its own building in Ghetto Vecchio. The Spanish Jews built a synagogue in 1584. Jews were also able to build their own free school, the only one in Venice. Christians came to the ghetto to visit Jewish banks, doctors or shop for spices, jewelry and fabrics. The 17th century was the period of the ghetto’s golden age; Jewish commerce and scholarship flourished. Jews controlled much of Venice’s foreign trade by the mid-1600s. The Sephardic groups gained influence and wealth in the Venetian economy. The residents of the Ghetto Nuovo also began to have greater economic stability and began participating in maritime trade, which had before only been allowed for those in Ghetto Vecchio. The commercial activity of the ghetto was halted during the plague that spread throughout Europe in 1630-31 and hit the Jewish community of Venice in the summer of 1630. An estimated 450 Jews lost their lives to the plague and many merchants left the city. The end of the plague was marked by public ceremonies and fasts. The Jewish community recovered and they opened a new prayer and study halls. 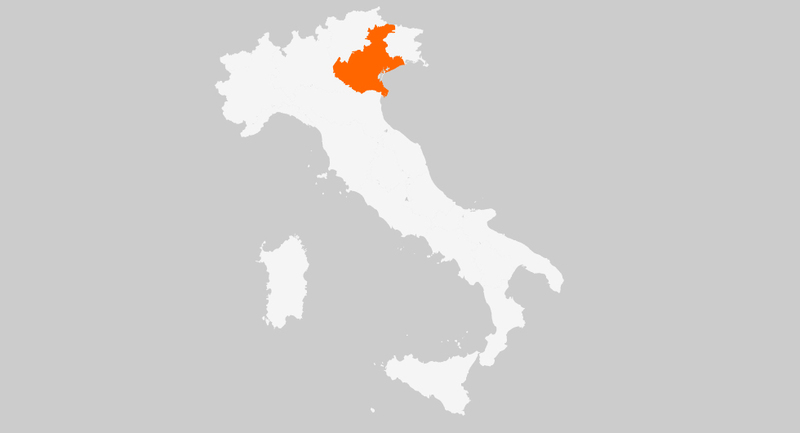 The ghetto’s boundary were extended and the Nuovissimo ghetto was opened to house wealthy Jewish residents. In this period, Venice was home to many famous physicians who later served the Queen of France, the royal Court in Spain and other important figures such as Pope Paul III. Famous personalities included, Rabbi Simone Luzzato, who served as Venice’s rabbi for 50 years. Luzzato published the Discorso circa il stato defl’Hebrei (Discourse on the State of the Jews), which examined the social and political conditions of Jews in a non-Jewish environment. Another famous personality was Rabbi Leon da Modena. Modena’s writings include poetry, several dictionaries, commentaries on the Bible, the Sur Meda and a tractate against gambling, which was written at age thirteen. A third famous personality was Sara Copia Sullam, who was the ghetto’s leading poet, she held a salon that drew many educated men and aristocrats. Venice was the center for Jewish knowledge and learning for many Sephardic Jews. Venetian Sephardic scholars traveled from Venice to start new communities in London and Amsterdam. Venice also served as a center for Kabbalah in the early 18th century. One of the community’s most influential Kabbalists was Rabbi Mosheh Zacuto, who was active from 1645-1673. The economic conditions for Jews deteriorated at the end of the 17th century. Anti-Jewish feelings were prevalent in the 18th century and limitations were placed on Jewish economic activity. The Jewish population decreased from 4,800 in 1655 to 1,700 in 1766, because many prominent families left for Leghorn or other port cities. Taxes were extremely stiff and Jewish ship owners and merchants lost their shops between 1714-1718. Finally in 1737, the Jewish community had to declare bankruptcy. Everything changed in 1797 when Napoleon’s troops reached Venice and tore open the ghetto gates. Swept up in the fervor, many Jews volunteered for Napoleon’s army. Venice became part of the Hapsburg empire in 1798 and some of the restrictions were reintroduced, however, the ghetto was not officially reestablished. Many Jews chose to continue to live in the ghetto, but the wealthy Jews left to live in other parts of the city. In 1848-49, there was a short-lived Venetian Republic run by Daniele Manin, who had Jewish origins. After Italy’s unification in 1866, Venetian Jewry achieved an equal status. One famous Venetian Jew, Luigi Luzzati, began his career in politics organizing an aid society for gondoliers. He continued to serve in the Italian Parliament for 50 years and was elected Italy’s first Jewish Prime Minister in 1910. Following World War I, many Jews left the city because of rising tensions. Jews did not face restrictions in the early years of Mussolini’s rule, but the situation changed in the 1930s because of Italy’s relationship with Germany. About 1,200 Jews were living in Venice when German troops occupied the city in 1943. Between November 9, 1943 and August 17,1944, 205 people were deported to extermination camps, including Chief Rabbi Adolfo Ottolenghi.